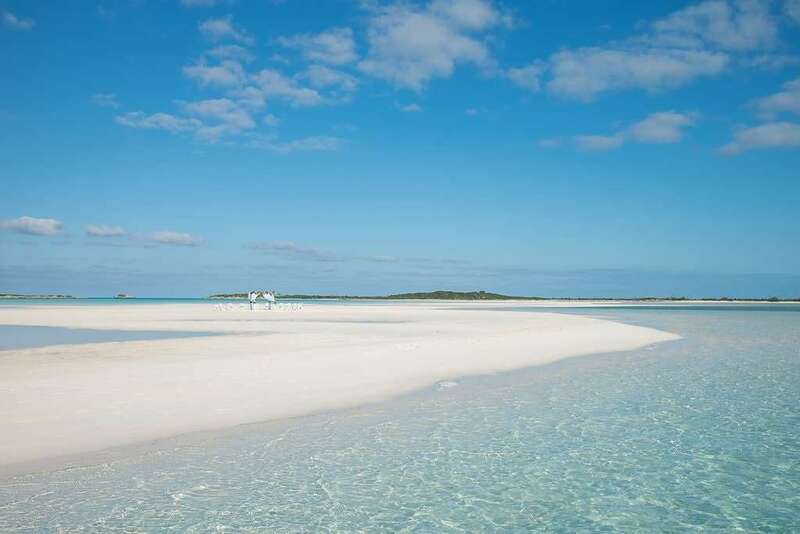 Sandbar Exuma Bahamas Wedding Plan your exotic island wedding today! Are you seeking the perfect exotic Bahamas wedding? Are you not sure which of The Bahamas’ 700 islands and cays best suit your vision and style for your special occasion? Look no further! 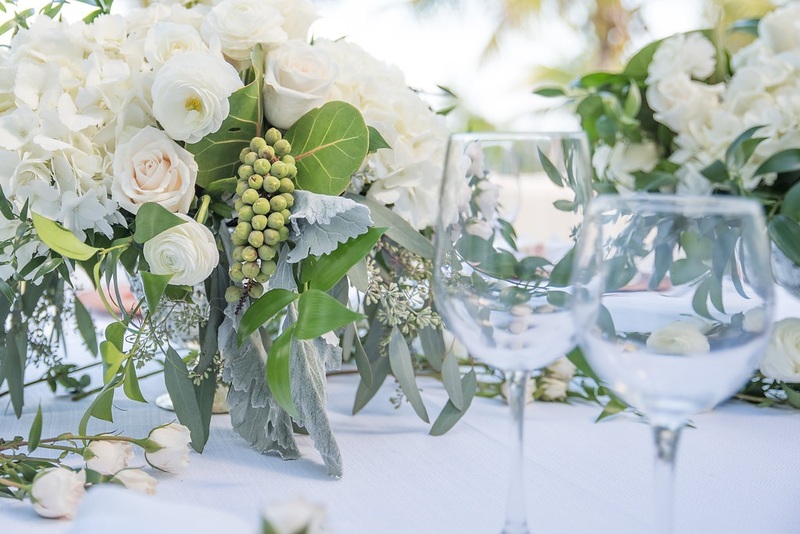 Consider the sweet Island getaway of an idyllic sandbar Exuma Bahamas wedding. What’s more? Have your guests arrive by water taxi to the world famous Rolle Town Sandbar to witness your exchange of vows! Exuma, which comprises365 cays, begin just 35 miles southeast of Nassau. Picture this … pristine white sand under clear azure skies punctuated with passing white clouds. Sparkling clear brilliant colored seas. A bamboo gazebo dressed in sheer white curtains accented in lush tropical foliage and white orchids and exotic blooms. Seagrass carpet marking the spot for the vows to be exchanged. Chairs circling round for guests to witness the happy event. Let Chic Bahamas Weddings plan, design and produce your dream sandbar Exuma Bahamas wedding. Off to the side more seagrass carpets marking out the reception lounge area. Strewn with white oversized pillows and low tables for relaxing and enjoying each other and the relaxing views. Bordered with white market umbrellas providing ambiance and welcomed shade as well as the bar and food stations. Furthermore, waiters in white rolled up trousers or shorts and shirts pass refreshing cocktails on silver trays. Delicious cucumber limeade coolers, lemon tequila martinis, Lillet Prosecco spritzers, island rum punch and local beers. Tasty tempting nibbles of Cracked Conch Salad, Grilled Shrimp with Cilantro paste, Spicy Tuna Tartare on rice crackers, Crab salad on Endive leaves, skewered Grilled pork with Roasted red bell pepper sauce, Grilled skirt steak with ginger scallion dipping sauce, Rustic Cheese and Salami board with an assortment of flatbreads and accompaniments. These experiences can be adapted to a cove, beach or outlying cay. Let us create your dream wedding. All you have to do is to show up and ENJOY!!! 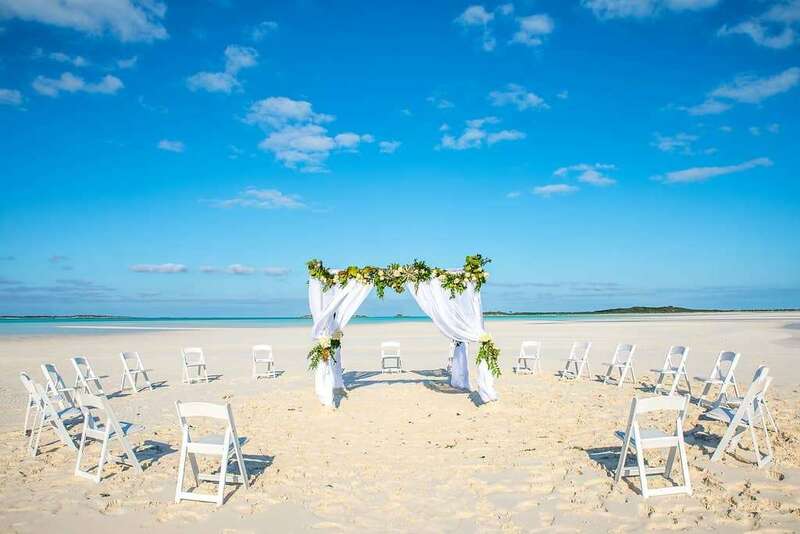 Contact us today to start planning your sandbar Exuma Bahamas wedding!